Presented By: Louisiana Pirate Festival, Inc. The Louisiana Pirate Festival is a multi-day festival held on the grounds of the Lake Charles Civic Center and Seawall. This year the festival is undergoing an exciting format update with more fun packed into one weekend! 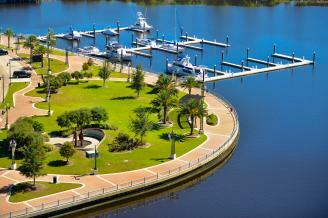 Festivities begin with the Buccaneer Landing when they take over the City of Lake Charles. Come and enjoy great live entertainment, showcasing Louisiana musicians, sample flavorful cuisine in the Galley Alley, Family Day on Saturday, and daily Pirate Parades through the festival ground and much more. The Louisiana Pirate Festival is committed to offering a unique experience for all ages and cultural backgrounds while giving visitors a chance to experience Southwest Louisiana's joie de vivre or "Joy of Life." PIRATE LANDING & MAYOR HUNTER WALKS THE PLANK! 6:30 PM City Militia fights off the Pirates! 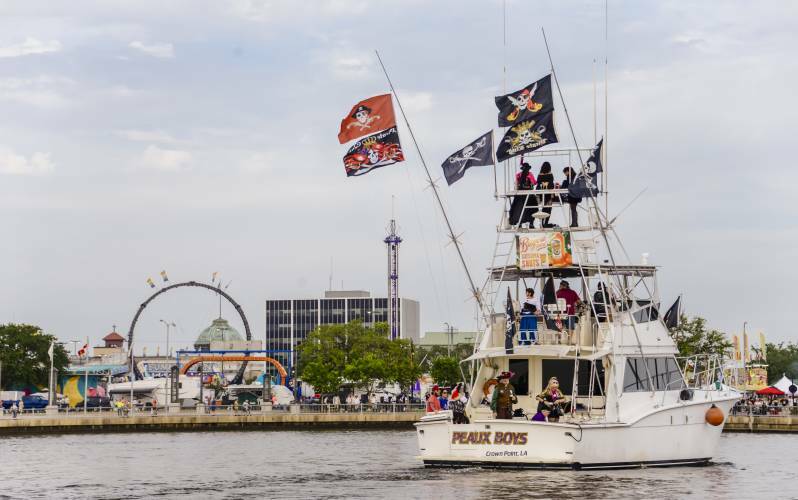 Usually held annually the first part of May and unique to Lake Charles, the Louisiana Pirate Festival celebrates the legend of pirate Jean Lafitte. The story goes that pirate Jean Lafitte docked his boat right on the sandy shore of Lake Charles and buried his treasure somewhere along its banks. On the first night, witness the cannon fire as the citizens of Lake Charles try to defend the seawall only to have the pirates capture the mayor, put him on trial and force him to walk the plank! Pirates of all ages are encouraged to come out to the festival with carnival rides, games, entertainment and live music! For the latest on the Louisiana Pirate Festival, visit http://www.louisianapiratefestival.com.